This flagship program condenses key topics from leading MBA and EMBA courses into eight high impact days. It is designed to boost your career success through a comprehensive understanding of the pillars of business: strategy, marketing, finance, negotiations and people skills. As the “rules of the game” are changing in almost every functional area of an organization, this learning experience offers timely exposure to new techniques, tools and trends. Launched in 1949, this is Canada’s top concise management program with hundreds of participants graduating each year. Delivered in Montreal, Toronto (Mississauga), Ottawa, Calgary and Vancouver, the format fits well with the workday of busy professionals from both private and public sectors. This program is valuable for those in corporate, government and nonprofit sectors who want to be at their best, but haven’t had time for a full MBA or EMBA program. It also represents an opportunity for those considering an MBA who wish to “test the water” before making the full cost and time commitment. It is perfect for managers who have had exposure to one functional area and plan to move into general management responsibilities. McGill’s mini-MBA allows immediate integration of actionable, effective knowledge and critical business thinking skills. If you want to get ahead in today’s competitive business world; this is the program for you. 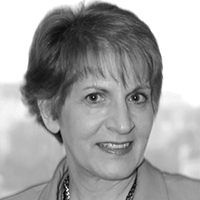 Jennie Constantinides brings over 30 years of experience in developing human resource strategies, leadership and high performance teams. With a Masters in Law, Alternative Dispute Resolution and as an accredited mediator (LL.M. PRD), she consults in the areas of workplace harassment, interest-based negotiations, union-management relations, organizational conflict systems design and mediation. She is an executive coach, has published in trade magazines, and written more than 100 training manuals, guides, job-aids, audio-visual and e-learning materials in support of management and organizational development. Saurabh Mishra has been a Professor of Marketing at McGill’s Faculty of Management since 2007. He is an authority in the areas of marketing strategy, branding, analytics and how organizations leverage marketing management and operations to create value and a competitive advantage. Beyond teaching at executive, doctoral and MBA levels, he regularly publishes research in the Journal of Marketing, Journal of Business Ethics, and other prestigious publications. His academic background includes a PhD in Marketing from Indiana University, post-doctoral research fellowship at the Kellogg School of Management, Northwestern University and an MA in Economics from Delhi School of Economics, India.